This loan qualifies for an extended payment plan (EPP). This means that your loan will be due in three installments in line with your next three pay dates. 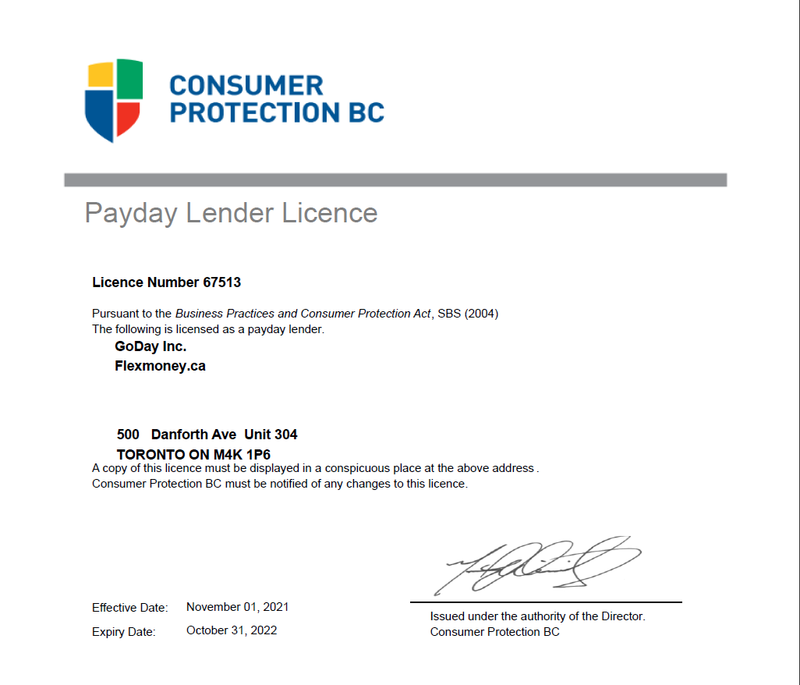 You have the right to repay the loan in full at any time before the final payment is due. 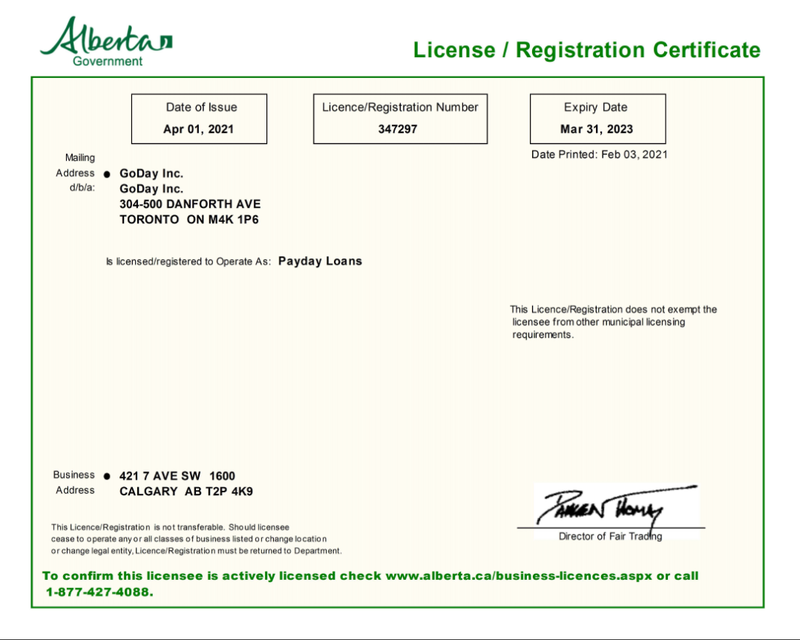 Your actual cost of borrowing will be shown after you submit your application, but as a licensed and responsible lender, we encourage you to take a look at our sample borrowing costs. 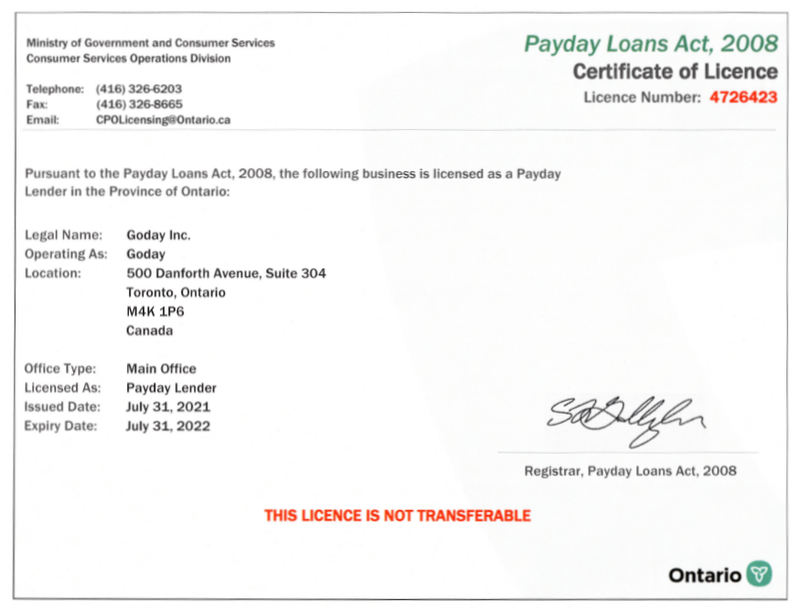 You may cancel your payday loan, without reason or cost, at any time before the end of the business day following the date you entered into the payday loan agreement by emailing customerservice@goday.ca or calling 1-888-984-6329. 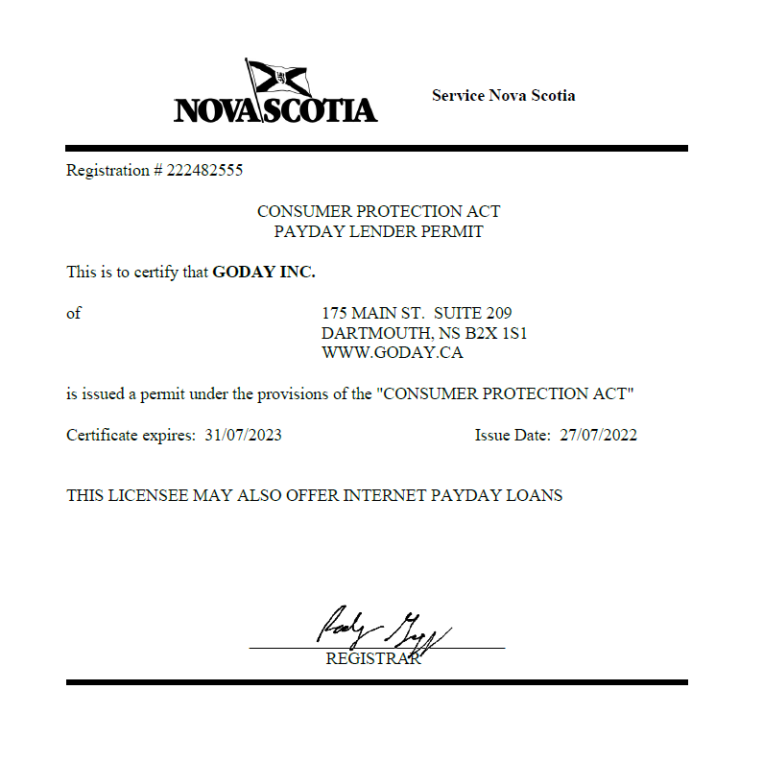 Loan Fee of 17% of the principal amount of the loan, payable on the loan repayment date. NSF Charge of $25, for a dishonoured pre-authorized debit. 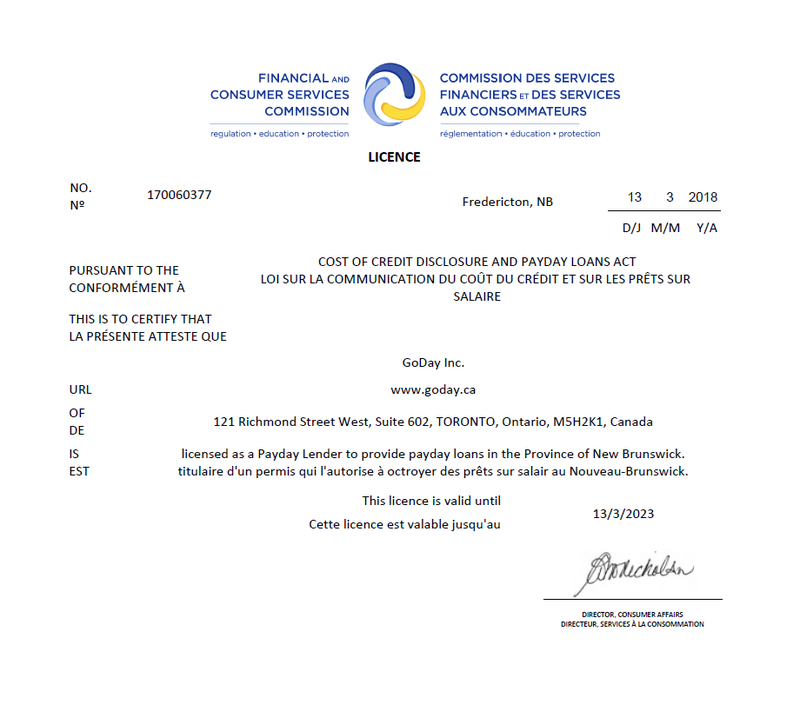 This charge is payable only once per loan, regardless of the number of pre-authorized debits dishonoured. 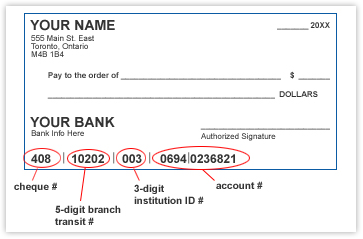 Cancellation Form, Receipt Form, Disclosure Statement. 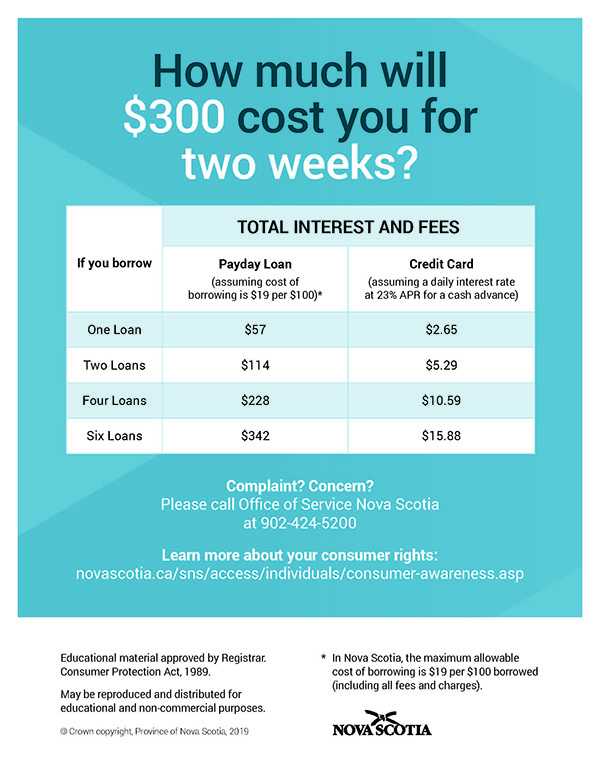 If you feel you may benefit from confidential debt counselling, Credit Counselling Canada can be reached by calling toll-free at 1-866-398-5999; by fax at 416-929-5256; by e-mail at contact@CreditCounsellingCanada.ca; or by mail at 401 Bay Street, Suite 1600, Toronto, Ontario, M5H 2Y4. 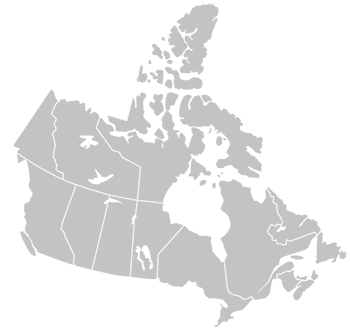 You can also visit their website for further information at www.creditcounsellingcanada.ca. You're applying to borrow $150. Receive an instant decision in approximately 5 minutes. You may be sent a verification PIN by text message. Before submitting the application, you must agree to our terms. At the moment we require you to be actively collecting income before we are able to provide you with a loan. Are you planning to file for bankruptcy? How much is your paycheck AFTER taxes and deductions? How are you paid when pay date is a holiday? References are an important part of many financial relationships. We WILL NOT call your references to make a decision for your application. We need them on file in case of default and breach of communication. Please hang tight, this secure process may take up to 60 seconds. 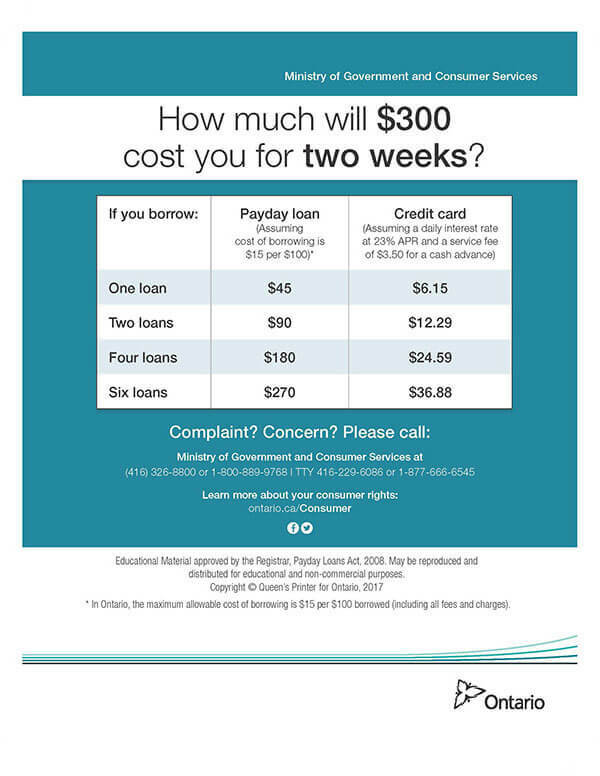 Have you taken out a GoDay Loan in the last 9 months? Click here to visit the Express Loan Application!